Succulents can be beautiful in any season! 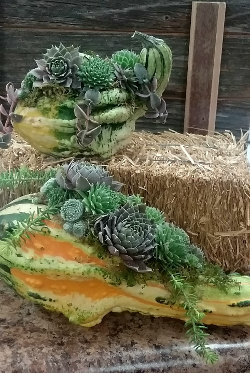 Create a succulent topped gourd that will last through the fall and Thanksgiving season. 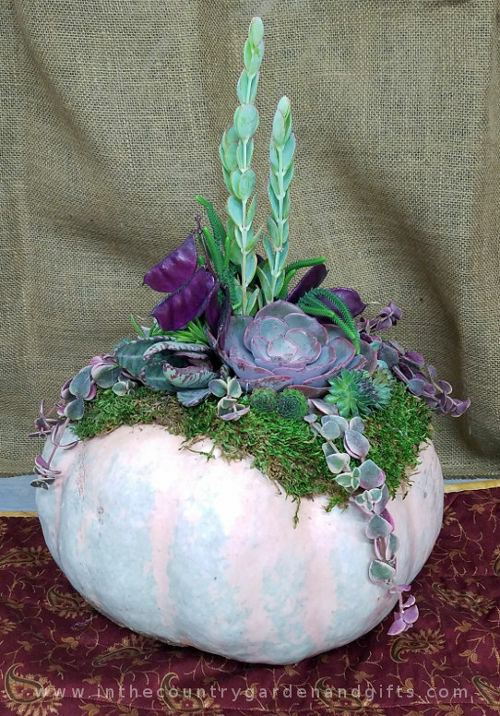 We will show you how to create your own beautiful succulent arrangement on top of a real gourd. All materials will be provided, including a variety of gourds and a selection of suitable succulent cuttings. 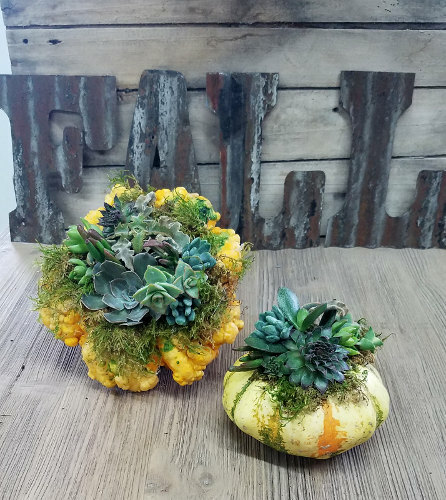 We'll discuss how to keep your succulent gourd looking great through the fall season, and how to continue enjoying your succulents beyond the life of the gourd. Workshop will take about 1-2 hours to complete. Pre-registration is required. Register by phone (319-934-3620), email (info@inthecountrygardenandgifts.com), or use the form below! Your privacy is important to us and we guarantee we will never share your information with anyone else.